The combination of cocoa powder and dark chocolate makes this pudding extra chocolatey. I have a problem. Depending on who you ask, they might say I have more than one, but right now I'm referring to my inability to say no to any food that is presented to me in a jar. I first spotted this trend three years ago, at a restaurant in Madrid. There was something that immediately charmed me about the presentation of a dish stacked neatly into a little mason jar. These jars were no different than what my grandmother used to make her marmalades. But instead of jam, they were filled with sweet creams, brightly layered salads, even salmon tartar! I don't know what it is about food in a jar that I love so much. Perhaps it gives it a homemade feel? Whatever it is, clearly I'm not the only one who likes it. The food in a jar trend has swept the globe. You can see it in hip restaurants in New York, at farmers' market stands in California, images are even pinned to culinary boards on Pinterest! So when I spotted some old jam jars at a flea market, I snatched them up and began to think about all the things I could fill them with. Now that I've been telling you about what culinary trends I love, let me tell you about something I hate. Waste! I still remember consulting once for a restaurant in New York. It was a shock to me how much product they wasted. I was not accustomed to this. After working in restaurants in California, where every scrap is saved or used as compost, I had grown accustomed to using every morsel, every last bite. In my opinion, this is how all professional (and home) kitchens should be. So in my house, I always try to keep the waste to a minimum. Which leads me to this unassuming bag that I found in my fridge. I was rummaging through my kitchen, searching for inspiration. What would I stuff into my "new" jars? 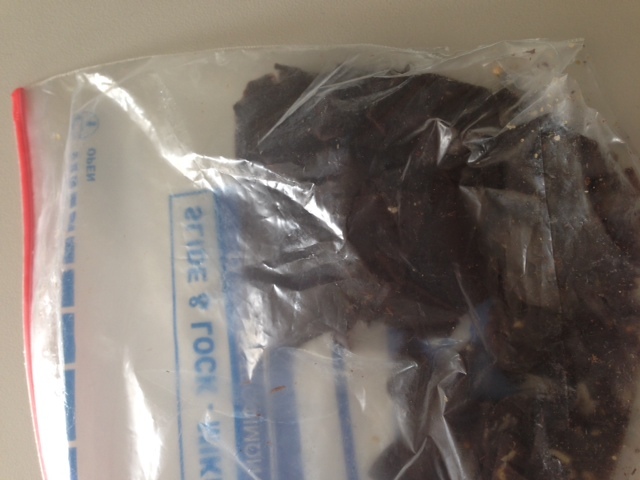 I found this bag of chocolate tucked into the back of the fridge, patiently waiting for me to put it to good use. Keeping in line with my "waste not, want not" policy, I save scraps. I even save scraps of melted chocolate. 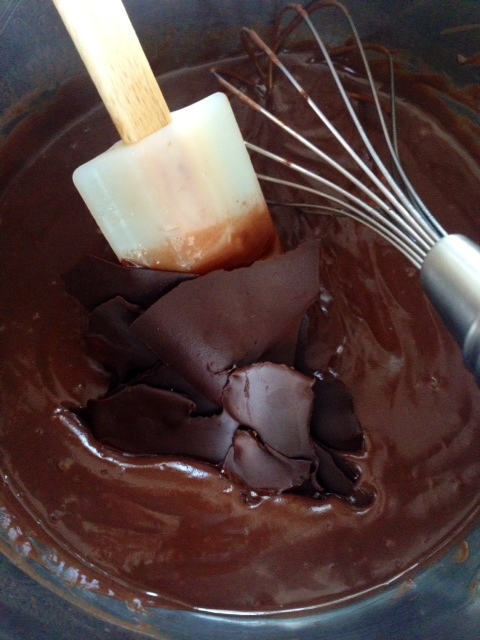 Every time I work with chocolate, whether I'm making truffles or molding chocolate, I don't discard the last spoonful. Instead, I let it harden and toss it into a plastic bag. Eventually, when I have enough to make a chocolate scrap yard, I use the scraps in a batch of cookie dough or chocolate frosting. 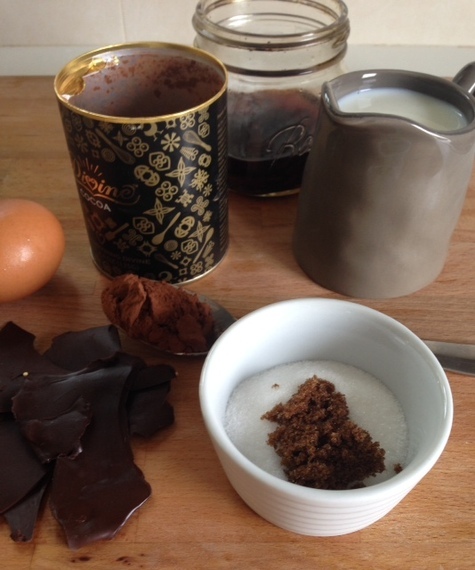 Or, in this case, I use the scraps in a recipe for chocolate pudding (which is made that much tastier when presented to guests in little jars!!). It seemed like the perfect recipe to use up the scraps I'd been saving in my fridge, and to put my new jars to good use. So without further ado, here is my recipe for double chocolate pudding. The combination of cocoa powder and dark chocolate makes this pudding extra chocolatey. Enjoy! Place the milk, sugars (I use a blend of white and brown sugar to give the pudding a richer flavor), and cocoa powder into a pot and whisk to combine. Heat the milk mixture over medium heat. 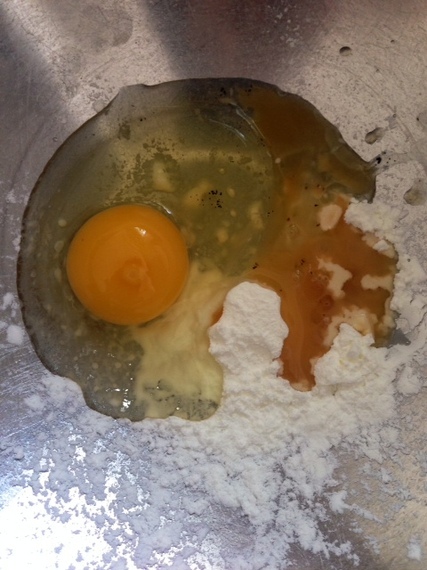 In the meantime, place the cornstarch, egg, vanilla extract, and salt into a bowl. Once the milk begins to steam, transfer some of the hot milk to a cup and pour it, while whisking constantly, into the egg mixture. It's important to constantly whisk so that the hot milk doesn't cook the egg. 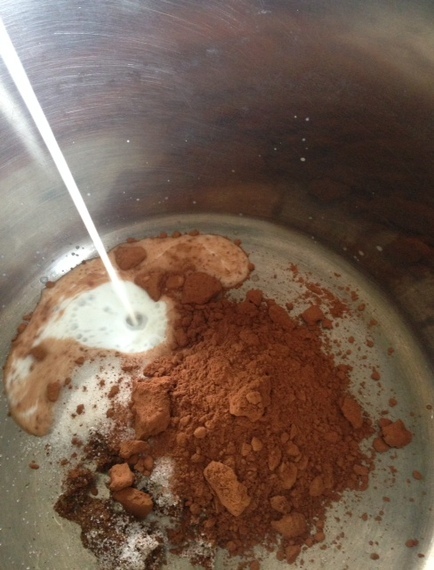 Transfer the mixture back into the pot with the remaining milk. Decrease the temperature to medium-low and continue to cooking, while whisking, for several minutes. Cook until the pudding becomes thick and coats the back of a spoon. 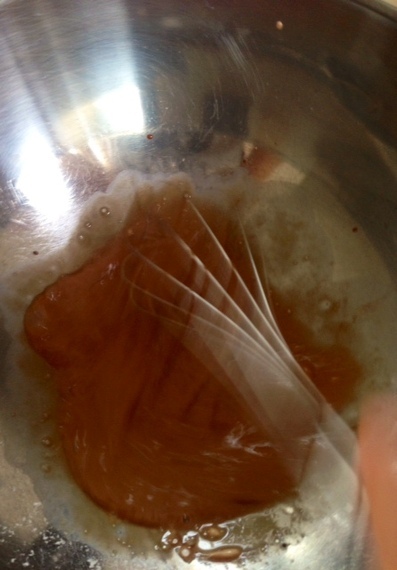 Whisk in the chocolate and stir until melted and smooth. Transfer the pudding to the jars and cover the tops lightly with plastic wrap, so that a skin doesn't form on the tops of the puddings. Chill for at least four hours. Top each pudding with a dollop of whipped cream and serve.